"ATO commissioner Michael D'Ascenzo last week warned Australian taxpayers against avoidance schemes that use New Zealand administered trusts as a way to gain tax-free income. The warning is another blow to New Zealand's financial standing, coming as news broke that the country had, along with Russia, been turfed off a European Union anti-moneylaundering "white list" because of weak regulation." "Another New Zealand shell company has been linked to an alleged fraud worth more than US$150m - this time involving Ukrainian state-owned companies. The company, Falcona Systems Ltd of Albany, Auckland, was struck off the New Zealand Company Register last October but only after it was used to gain $150m in kickbacks for Ukrainian and Latvian officials, according to East European media reports." Two years ago another New Zealand shell company, SP Trading Ltd of the same Queen Street address, was found to have chartered a Georgian registered plane to fly embargo-busting arms from North Korea to an unknown Middle Eastern state. They were intercepted in Bangkok. "New Zealand companies can be created online for just $153.33 and while Commerce Minister Craig Foss has said action is being taken to tighten registrations, nothing has happened. Foss is in Japan and could not be reached for comment." We have seen this kind of behaviour from secrecy jurisdictions again and again. For pitifully small sums, jurisdictions can prostitute themselves out to the world's criminals, for a handful of dollars. It's not even very much money! An earlier Naked Capitalism headline captured the spirit: New Zealand Opportunity! Earn $$$ Working from Home, Creating Bogus Companies for Crooks! These stories are packed with extra information. 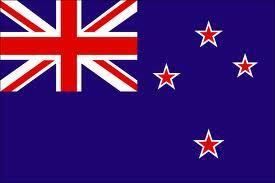 In the past, there were relatively few people with bad things to say about New Zealand. That is changing, very fast indeed. I'm a New Zealander and would like the world to know that the Transparency International 'Corruption Perception Index', which ranks New Zealand as the country 'perceived' to be the 'least corrupt in the world' - is not worth the paper upon which it is written. In 2010 I attended the Transparency International Conference in Bangkok and distributed copies of the NZ 'Corruption Reality Checklist'I'd drawn up (based upon my own research and experience). It was an eye-opener to many delegates, who didn't realise that NZ hadn't even ratified the UN Convention Against Corruption (because our NZ 'anti-corruption' legislative framework is not yet in place). Our NZ MPs don't have an enforceable 'Code of Conduct' - neither do our Judges. Our local government elected representatives and employees responsible for property and procurement - don't have a 'Register of Interests'. There is no 'Register of Lobbyists' or 'Code of Conduct for Lobbyists'. There is no legislation enforcing a post-employment separation 'quarantine period' for Ministers /MPs / key 'Public servants' to stop them going through the 'revolving door' into the private sector, where they can use their former position / contacts for their personal pecuniary gain. Last time I asked - neither the former Minister of Justice, nor the key person at the Serious Fraud Office (SFO) had even heard of a form of 'GRAND CORRUPTION' which I believe is endemic in NZ - 'State Capture' - where vested interests get their way at the policy level - before legislation is passed.